We can seat 12 in a boardroom format, or up to 20 in a presentation-style layout. The boardroom format includes a long table in the middle of the room, and is perfect for conversations, interviews, negotiations, and more. The presentation-style layout includes rows of chairs, and is perfect for training sessions, marketing presentations, etc. Our meeting space is flexible, so please contact us if you have specific needs, and we will do our very best to accommodate. The Platinum Meeting Room is the perfect quiet space for a small group of 4-6 people. Basic service includes water, coffee and tea. A dry erase board is available to facilitate the most productive of meetings. Phone conferencing is available upon request. The Platinum Suite can be booked on a daily or hourly basis. 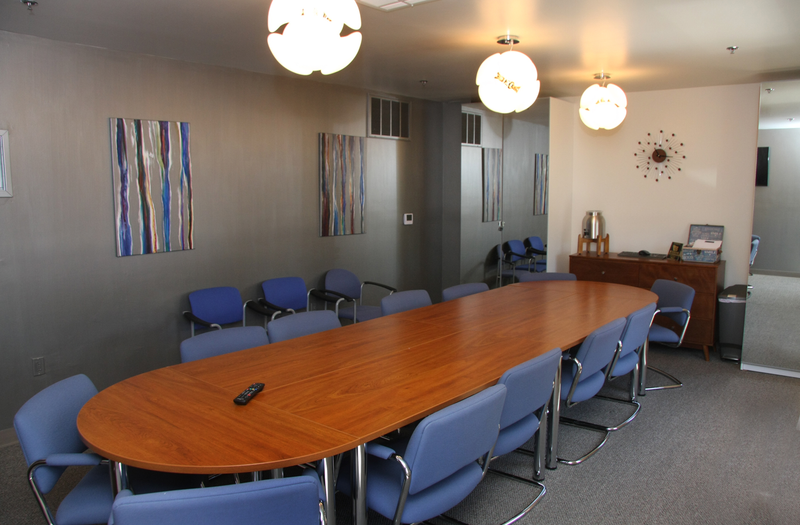 Our conference room is perfect for off-site meetings, client presentations, or office retreats. The flexible layout and and central location make the ideal choice for meeting with clients or colleagues in a comfortable and convenient location. Many options are available, so book your meeting today. Our meeting space includes secure WiFi, AV and teleconferencing capabilities, and more! Our conference rooms include a full range of amenities and services to make your time with us as comfortable and productive as possible. In addition to a fully-equipped conference room, we can arrange for catered meals, multi-day events, or break-out areas to facilitate small group discussions. You can book our meeting spaces by the hour or by the day. We provide a range of booking options, so you are sure to find a package that fits your needs. 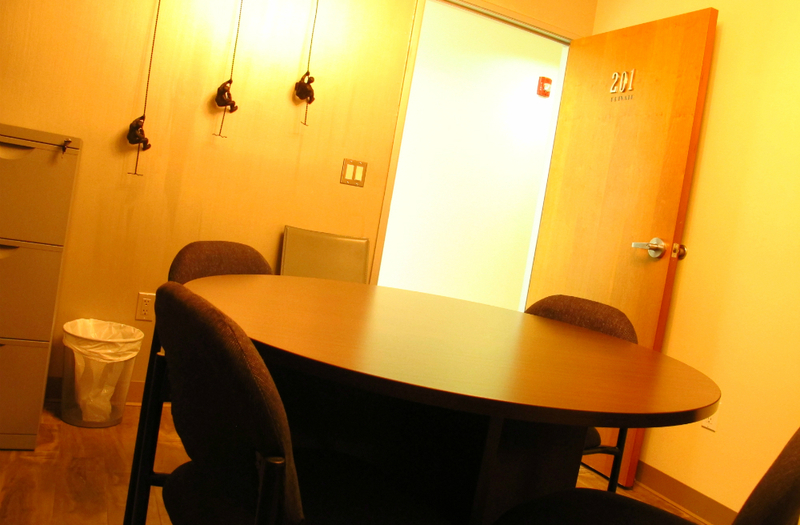 Some of our coworking and executive suite packages also include regular access to the conference room. Advanced bookings a strongly recommended, so please contact us to make a reservation. Our meeting spaces are the perfect venue for your off-site event. Contact us to make an appointment or preview the space, or to schedule your meeting.